This little country in the far west of Europe doesn't cease to attract tourists from all around the world. 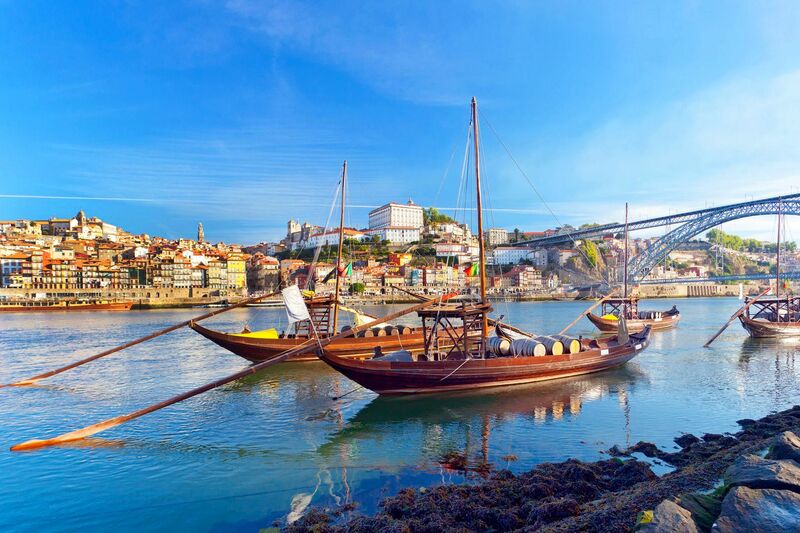 Despite being much smaller than other Western European countries, Portugal nevertheless offers many attractions: beautiful beaches, cultural and historical sites, charming small towns and characterful and busy large cities. These many riches are just a taste of what you can expect to discover on a trip to Portugal. If you're hoping to escape the grey clouds and constant rain showers of home for blue skies and plenty of pristine sand, look no further than Portugal. This coastal slice of the Iberian peninsula has everything you could want: balmy winters, brilliant summers, and fantastic hospitality. The lively capital of Lisbon is full of museums and music, perfectly suited to a weekend break, whilst the ever-popular Algarve coastline has endless miles of soothing blue waves to be explored over a two-week getaway. If you're the outdoor type, check out the Azores archipelago - an endless stream of gorgeous, natural beauty. Otherwise it's all about Madeira, with its unspoilt vistas and unwavering welcome. This southern European country, swept by the rhythms of fado, has more assets than can be counted. With its gentle winters and hot summers, visiting Portugal is always pleasant. You can travel to Portugal in the summer just as easily as in the winter. Portugal has a lot of other things to offer. Every region has its own speciality. The country - one of the oldest in Europe - blends cuisine with culture and beautiful beaches. This means that when you're in Portugal, it's easy to mix a lazy holiday in the sun with cultural and historical visits. The capital, Lisbon, has plenty to charm its visitors, while the 160km of coastline in the Algarve make it a treasured destination for lovers of everything from sunbathing to golf. Even if you're in Lisbon you can make it to the beaches of the Sétubal Peninsula, or Comporta, in a matter of minutes. Sports fans opt for the large waves of Cascais, to the west of Lisbon. 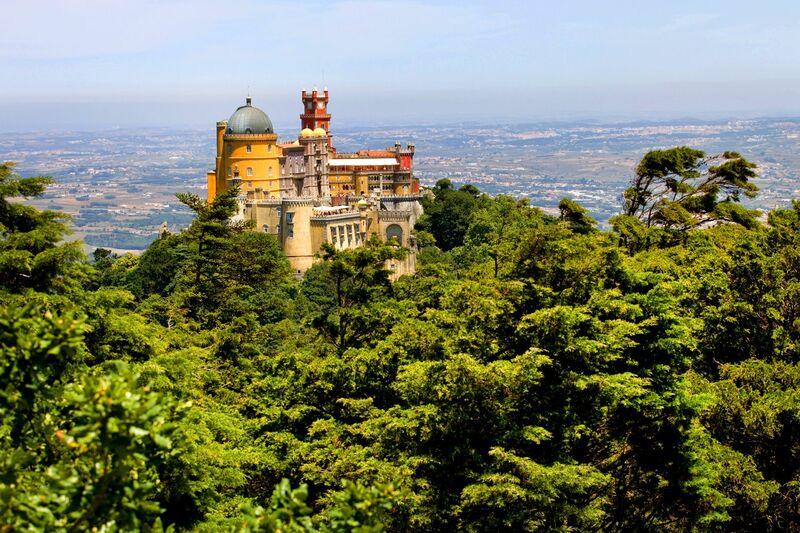 Also not far from the capital, and definitely worth a visit, are the magnificent Sintra Castle and the national palace of the Pena. The latter is located in a beautiful green park. And that's not even to mention the city of Porto. On the banks of the Douro River, this city in the north is very different to Lisbon. You must make sure to see the old neighbourhood of Ribeira, with its coloured houses. On the other side of the Douro, you can discover the history of the famous drink, port, in one of the numerous cellars of Vila Nova de Gaia. Above all, take some time to do a cruise and travel up the river, as the detour into the valley is definitely worth it. Those who love isolated, windswept beaches should head to Alentejo. This region is not yet really known to tourists: a place where you can explore Palaeolithic sites and cities recognised by UNESCO. Those who are passionate about hiking will love the region, which is perfect for long walks to explore the local flora and fauna. But Portugal's archipelagos are also worth exploring. The volcanic islands in the Atlantic are a treasure for those who love wildlife. The Azores, along with Madeira, still enjoy wonderful nature, where the countryside does wonders for both the body and the mind. Great hiking, unique flora and fauna, wonderful air and sea temperatures, and of course fascinating history and culture. Portugal is a major tourist destination, so don't be surprised if you hear other English voices around you. The sandy coasts of the Algarve, in the south, attract the majority of tourists, but the most beautiful beaches aren't necessarily the most popular. It's worth taking a stroll along the coast to discover the most scenic and isolated inlets. Lisbon, on the edge of the Tagus Valley, parades the more modern, cosmopolitan face of Portugal, as well as encompassing a countrywide passion for football and fado (Portuguese guitar music). If it's volcanic vistas you're after, look no further than the Azores and Madeira. Magnificent caves and lakes will adorn your path through the Azores, whilst Madeira fully lives up to its reputation as the 'Island of Flowers'. Portugal is well served by numerous low-cost airlines, making it easily accessible. It is a country just as suited to short visits of a couple of days as it is longer ones. To get more out of your trip, be sure to rent a car. It will allow you to easily discover the different regions. Another advantage is the cheap cost of life. For many northern Europeans, this may well be the best thing about visiting Portugal. You can eat an excellent meal in a fancy restaurant for some thirty euros. Sports lovers will find something to suit every taste, from golfers who will head to the Algarve, to those after kite surfing, surfing and sailing, who will head to the Atlantic coast to the north of Lisbon. The low prices also make Portugal ideal for those who want to indulge in some shopping, with everything from major brands to local artisans. Traditional craftwork is a developed trade in Portugal. Without a doubt, the most typically Portuguese souvenirs are the tinted squares of polished stone known as Azulejo. Always in hues of blue, the famous earthenware tiles are assembled into gigantic frescoes, adorning the walls of buildings across the country. It's also hard to resist the charms of wooden furniture, carpets, sculptures or even cork-ware - though you won't be left with much room in your suitcase. Madeira is considered the best place for basketry and embroidery, as well as lace - though these three specialities are readily available in other parts of the country. Known for the warmth and welcome of its people, the Portuguese live up to their hospitable reputation. In addition, you can enjoy excellent food along with high-quality wines. Lisbon in particular is full of star chefs and sophisticated restaurants - you can eat very, very well in Portugal. You will come back with all sorts of culinary souvenirs - and we're not just talking about cod. Holidays are not the only recognised traditions in Portugal. The Portuguese are also very religious. They believe that by following the Christian lifestyles they will be in good hands. That is why they continue to recognize rites of passage such as baptism, confirmation and marriage. Death is also ritualized and taken very seriously in the Portuguese culture. Church bells announce the passing of a neighbour or family member throughout the villages in Portugal. The Portuguese are very proud of their language - going around speaking Spanish is not recommended as it will imply a lack of interest in their language and culture. If you speak to someone you don't know well, it is good to call them Senhor, Senhora or Dona. However, people are very friendly and open and so you will soon find people being very warm and welcoming with you. Portuguese cuisine is excellent, and extremely rich and varied. It is considered one of the most eceltic in the world thanks to the variety of influences - North African, sub-Saharan African, Italian and Indian, to name a few. Portugal was one of the first countries pioneer bringing spices from Asia, and they were incorporated into all sorts of local dishes. Meat is much-appreciated, with pork being the Portuguese favourite. One of the most famous dishes, porc alentejana, originates from the southern region of Alentejo: pork fillets marinated in spices (mainly coriander), lard, chunks of red pepper, garlic and olive oil, and cut and stuffed with clams. Desserts are often fruit-based and commonly filled with aromatic spices such as cinnamon. The famous Pastéis of Belem certainly warrant a mention - a smooth texture egg tart pastry which has become a firm favourite well outside the bounds of its home nation. Portugal is equally well-known for its quality wines - especially the reds - including Porto and Madeira wine. Our journalists' reviews for you 199 hotels Portugal . Take a look at our hotels, their facilities or their value-for-money score according to your departure dates so that we can find the best offer to suit you Portugal . Book a hotel Portugal it's never been so simple !